A glowing and vibrant photo from last summer's Rochesterfest Moonglow event in Rochester, Minnesota. 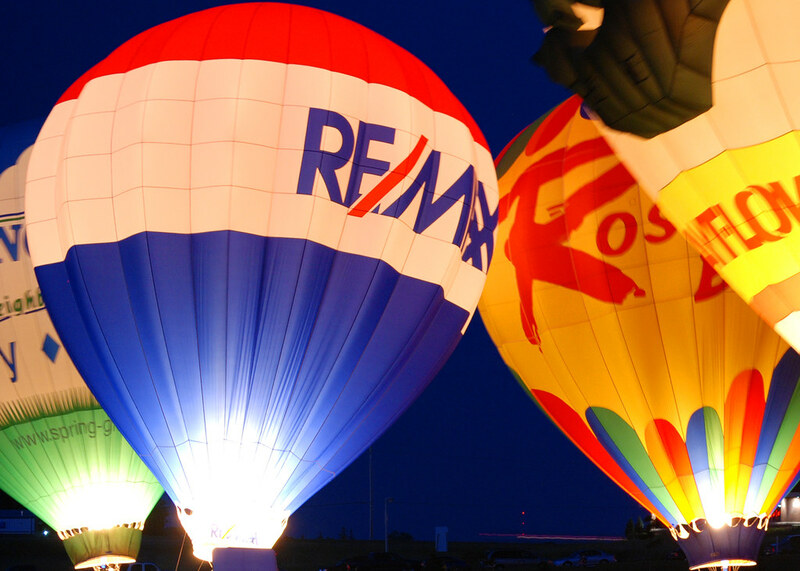 The Re/Max balloon is not a surprise to me but the Roscoe's Root Beer & Ribs is. It's also worthy of some of your dining dollars should you ever find yourself in Rochester.